For red wine drinkers, the news that there's a bottle of vino that could actually be good for your health is likely to be music to their ears. Camy wine, which retails at £14.99, has gone on sale in the UK for the first time - and promises a tipple packed full of heart-healthy antioxidants. The wine's makers, Domaine Laougoué, says the secret to the boosted levels of compounds procyanidins and resveratrol is all down to the particularly thick skin of the grapes used to make it. Available for the first time in the UK, the £14.99 bottle of Camy, made in South West France, claims to be the world's healthiest wine, thanks to its high levels of antioxidant compounds. 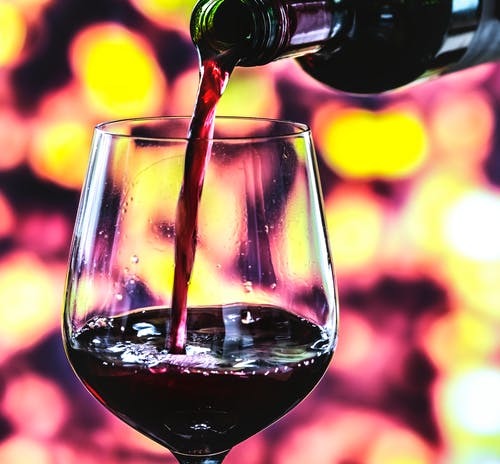 Dubbed the 'world's healthiest red wine', the drink is produced in Madiran, South West France, and has been scientifically proven to have the highest concentration of procyanidins and resveratrol compared to any other type of wine in the world. The Tannat grape has particularly thick skins, while the average glass of red contains 30-40mg of procyanidins, this has over 120mg, around four times the amount. Nutritionist Rick Hay commented: 'Very high levels of numerous phytonutrients, found in this wine, that can help reduce LDL cholesterol levels. The wine, which is also vegan, is available in the UK via Wanderlust Wine. The company's founder said they're bringing it across the Channel because of demand. Richard Ellison said: 'Consumers of today are not only demanding healthier alternatives in everyday life, but they are also wanting to be educated so that they can make more considered lifestyle choices. Moderation is our message here; we want to encourage people to make smarter, mindful choices when it comes to selecting wine. Often the cheap mass made wines on the supermarket shelves is given much less attention during the winemaking process due to sheer volumes produced.